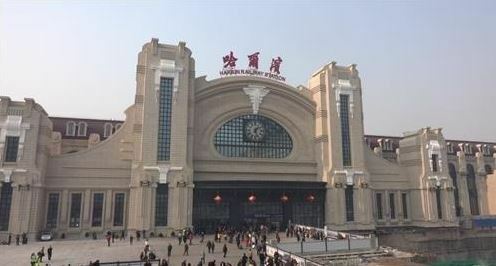 Ahn's memorial hall was built at Harbin Station in Harbin, Heilongjiang Province, in January 2014 to commemorate his assassination of a top Japanese colonial official there more than a century ago. Ahn shot the Korean Peninsula's first Japanese governor-general, Hirobumi Ito, to death at Harbin Station on Oct. 26, 1909, before being executed by colonial Japan on March 26, 1910, at the age of 30. Harbin Station reopened last December but the former site of Ahn's memorial hall was vacant when Yonhap News Agency visited the station on Feb. 20. In addition, two platform floor markings commemorating the assassination of Ito have yet to be restored, despite the completion of flooring installation work on the station's platforms. The station previously had two small marks on the ground of Platform No. 1: a triangle marking where Ahn pulled the trigger and a square marking the position of Ito's collapse.